The Mueller Report has come out and has cleared President Trump of Russian collusion. But we have little doubt that the Deep State DOJ is still improperly trying to cover-up its blatant FISA abuses and other Russia hoax documents. So now it’s up to you to decide: Will you sign on to pledge your support of the investigation of Comey, McCabe, and the Deep State Coup? 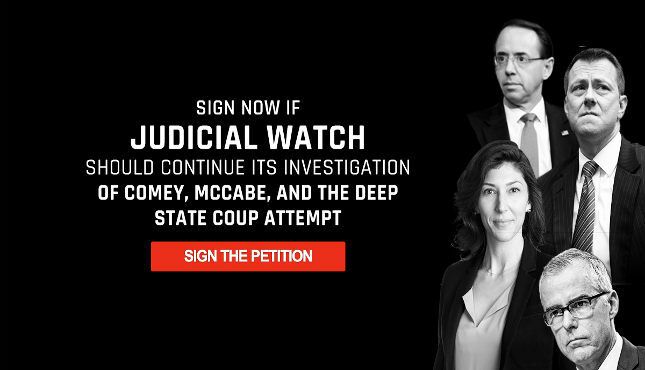 Sign your name now to support Judicial Watch's investigation to uncover abuses of power in the Deep State DOJ. 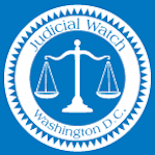 Judicial Watch proved time and time again the Mueller investigation was anything but neutral. It was staffed by individuals who openly attempted to prevent Donald Trump from being President. We’re uncovering the full extent of the Deep State and its abuses of power to bring down Donald Trump and his presidency. Our successful lawsuit against the State Department showed that the Obama Administration created the Russian Dossier to undermine President Trump. With your support we can continue our investigation to ensure that justice is served and those guilty of breaking the law and undermining the President are held accountable.